If you’re running a local business in Newport selling goods or services you’ve probably realised by now that having a website can be an excellent source of high quality leads. The problem facing many local business websites in Newport is a lack of SEO (search engine optimisation) knowledge. The aim of these vital Newport SEO tips for local businesses is to help anyone with a local business get more leads. When followed correctly these vital SEO tips will help every small business owner in Newport get better rankings. It is a comprehensive list that distils many years of our local SEO knowledge into 10 bullet proof SEO tips. 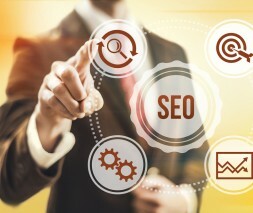 If you want online success and you’re a company in Newport these vital SEO tips should be your holy-grail go-to resource. We want to make your website work really hard for you and act as your company ambassador in your absence. There are lots of things that can be done but we’ll start with SEO as you’ll need visitors before anything else. If you don’t have SEO or don’t understand SEO you will not get any local visitors to your Newport company website. Site-wide SEO is massively important in generating business through search engines such as Google & Yahoo. Watch the video below for a quick introduction from Google. If you’re not engaged in the full gamut of SEO practices and want to generate leads for your company in Newport you need to start now. I can’t stress the importance of SEO for local businesses enough. Don’t waste time thinking about this just get moving as soon as you can. 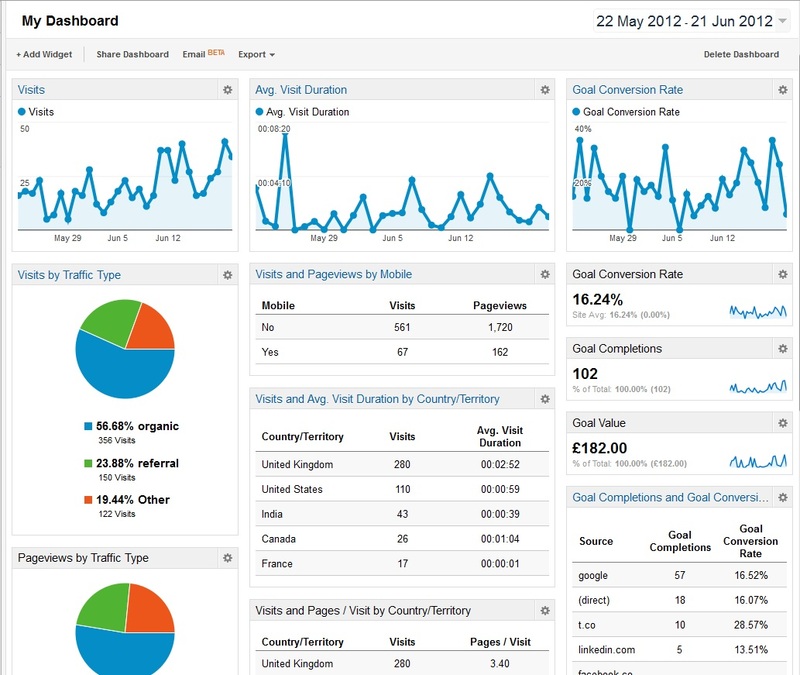 If you haven’t already you will need a Google analytics account. Analytics will provide you with key data that shows how well your Newport website & SEO are doing, which pages are being visited and much more. It’s not complicated once you get the hang of things you’ll be able to really understand what’s going on with your website. There are other paid for analytics services such as Clicky but a Google account will get you going. You will also need to set-up a Google webmasters tools account. This will again provide you with key data insights not only into how well your website is doing in the search engines but also whether Google sees the website as having problems like broken 404 pages that may be holding you back. Conduct some basic search queries using Google. 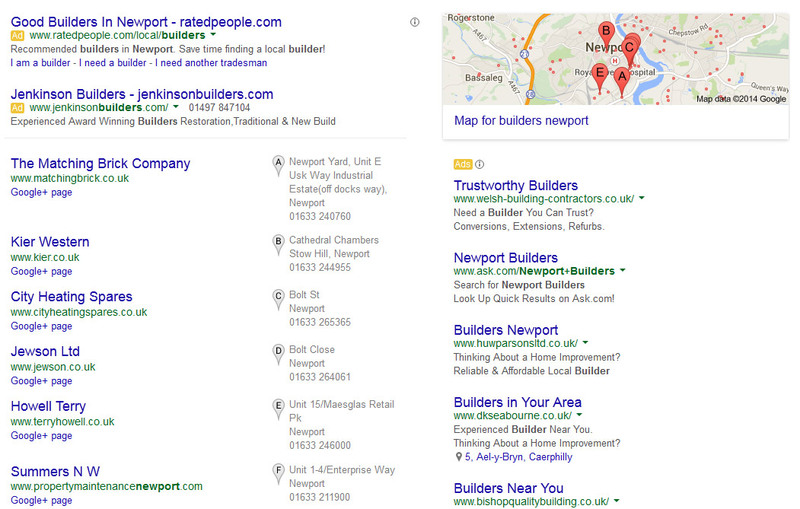 For example: if you’re a building firm in Newport then conduct a quick Google search for Builders in Newport. The top ten listings are your SEO competitors. They could be genuine competitors or they could be listings on bigger sites such as Yell.com. If there’s not much competition from actual websites you’ve got a great chance ranking yourself with properly applied SEO. 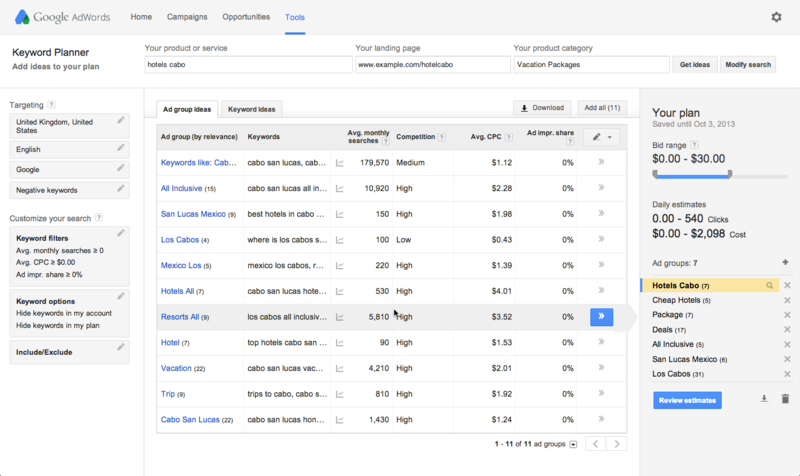 Use the Google keyword planner to research all the relevant keywords (search terms people use to find your products and services). It’s a good idea to have a little working knowledge of Microsoft excel. This can help you organise your keywords for SEO in Newport better so you can focus on what’s right for your website. You can download an example keyword spreadsheet here to get you going. Create a business page listing on Google+, get it verified and link it to your website. Doing this is often overlooked but is a vital SEO Newport tip for local businesses such as yours. You will need to complete all your details and make sure you categorise your business correctly and write a unique description. When potential leads search for you in Google you have an excellent chance of being placed high up in the local results and in some cases you’ll get a map listing. Correctly write your on-page content. This includes your meta tags, images and all the text on your page. Doing this is a science in and of itself and getting it wrong can mean the difference between ranking well and getting penalised by Google. Getting penalised means you haven’t adhered to the SEO guidelines set out by Google. Download the PDF resource for 2014 here. In order to get you going we’ve included an example Microsoft Word document that shows the on-page SEO we did for a Newport Builders client. VIDEO: How much time should I spend on meta tags, and which ones matter? Create high quality, relevant content and do it as regularly as you can. You need to add up-to-date Newport SEO content to show not only your visitors that someone is maintaining your website but also to show search engines that you’re website is being tended to. This will grow your website over time and get the search engines coming back more often. You can also use an internal backlink strategy to get link juice from your blog pages and increase the overall rankings of your main service or product pages. Finally you’ll need to try and acquire some high quality backlinks to your main pages. 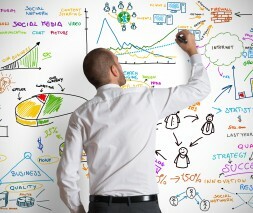 Backlinks are like votes of confidence to Google and other search engines. They are a vital component of any Newport SEO strategy. A good idea is getting backlinks for SEO from other Newport company websites. This will help establish you as the premier local resource in Newport. These SEO Newport tips for local businesses should only be your beginning on your SEO journey. Search engines and search engine optimisation can be an incredible source of on-going leads and business if you get it right. We have had years of experience in this field and currently service numerous clients around the Newport, Cardiff and South Wales area. If you need any assistance or just a friendly chat about your Newport SEO contact us here and we’ll be more than happy to chat things through with you. 10 Vital Newport SEO Tips for Local Businesses. If you require SEO in Newport then read these bullet proof tips to get your website ranking properly.